Bonus Animals Can you find a turtle, a penguin, two lizards, and two snakes at the Natural History Museum that didn't make it into the story? 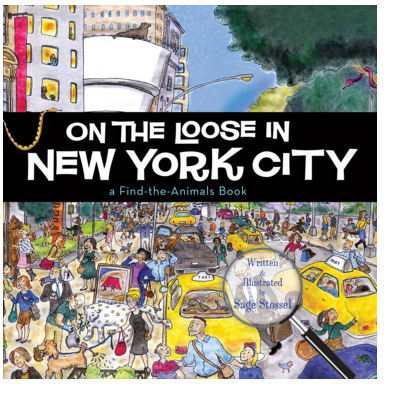 On the Loose in New York City A New York City-based find-the-animals book. Children will have hours of entertainment finding the Central Park Zoo animals—whether a monkey on Fifth Avenue, a sea lion at the Natural History Museum, or a snow leopard in Times Square... Over 100 animals are hiding cleverly in favorite New York City locations in this colorfully-illustrated rhyming picture book.